Thanks to the generous donations we have received so far, we were able to march in the 2018 Capital Pride Parade with a professionally printed banner and stickers to pass out to those on the sidelines. 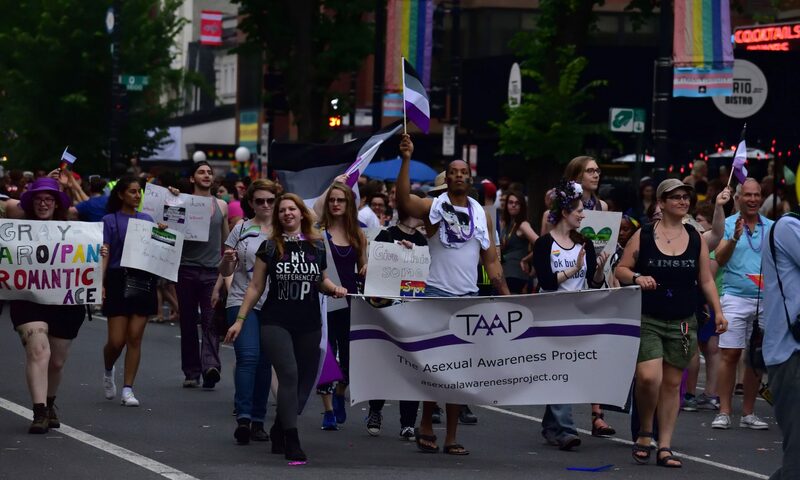 Additional donations will help us to be able to continue providing asexuality resources to the DC, MD, VA area. Donations can be in the form of cash, given to Laura G. or Emily K. at any AMA meetup where we are in attendance OR via paypal, sent to asexualawarenessproject@gmail.com.